An underground lava tube from the Moon's volcanic period millions of years ago could be our first moon base or colony, according to JAXA. Scientists just uncovered a potential location for humankind’s first space colony: an old underground lava tube on the Moon. In a paper published by the Japan Aerospace Exploration Agency (JAXA) in the Geophysical Research Letters, the team reported the discovery of an enormous cavern beneath the Moon’s surface. The cavern was found to be carved millions of years ago by flowing lava. By the way, if you want to learn a little more about NASA’s Moon-related aspirations, read this article. The cavern was discovered around the Marius Hills area where a set of Moon’s volcanic domes are situated. The domes in Marius Hills have an average size of approximately 200 to 500 meters in height. Based on studies, the domes within this area are believed to have been formed from lava flows much stronger than those discovered in Moon’s Lunar Mare regions. Surprisingly, the area is not just a host to vast lava domes, but also to an equally sizeable underground lava tubes as well. According to JAXA, researchers and sensitive equipment could take refuge in these ancient caverns. It was in 2009 when the JAXA team first analyzed the data obtained from the Selenological and Engineering Explorer (SELENE), which is also called the Kaguya Moon probe. 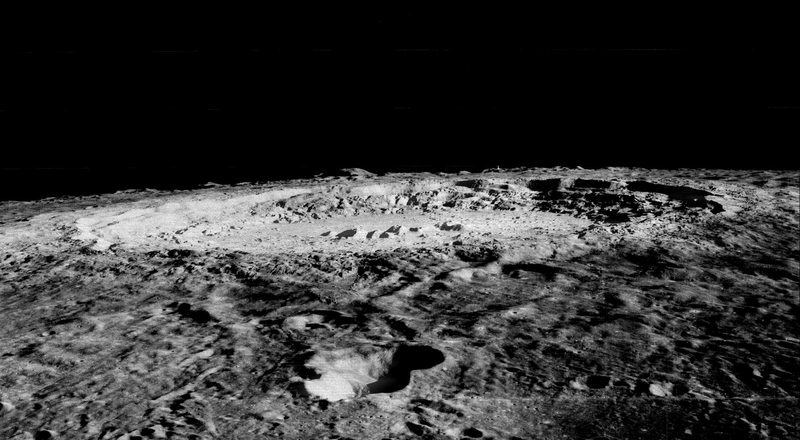 Researchers found a massive shaft with an opening that spans 50 meters in diameter in the Marius Hills region of the Moon. Further investigation showed that the shaft has a depth of about 50 meters from the Moon’s surface. Using additional information taken from a Lunar Radar Sounder (LRS) onboard SELENE indicated that an underground structure also extends to the west from the shaft. The construction of the cavern confirmed that it was likely created by active volcanic activity millions of years ago but that it has not collapsed. The JAXA team also added that there’s a possibility that ice or water exists in rocks within the cave. Should future innovations allow humans to build a base on the Moon, the underground lava tube could be a relatively hospitable place according to the JAXA team. 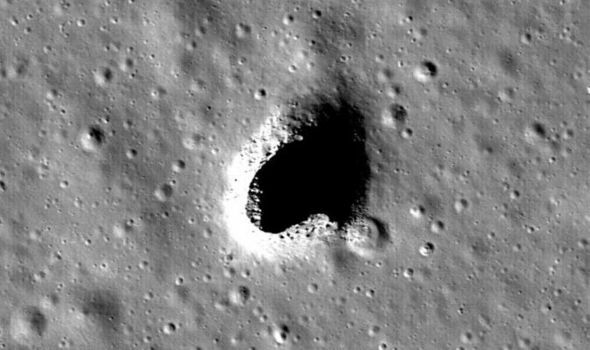 Experts have long speculated on the existence of lava tubes on the Moon, going all the way back to the Apollo space mission era. Its actual discovery marks another breakthrough that could aid in achieving astronomers’ lifelong dream of inhabiting other celestial bodies. Recently, the U.S. government expressed its interest in sending another human back to the moon. If you followed the article link at the beginning of this piece, you may have learned that U.S. President Donald Trump chose Jim Bridenstine as the new NASA director. He’s a U.S. Representative that is positively wild about the Moon. 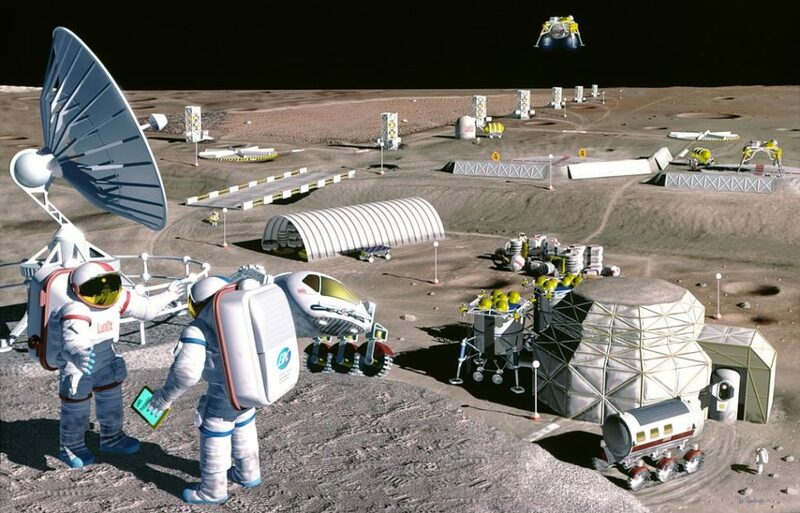 While government-run and private space agencies alike are eyeing Mars as humankind’s first colony, the Moon might be colonized first. At the very least, a base or space station will likely be established there. After all, this is a goal of the new deep space mission partnership between NASA and Roscosmos, which you can read more about here. What can you say about the idea of living in a city located in the Moon’s underground lava tubes? Let us know your thoughts in the comment section below.